"Not attractive, but useful app"
In this poll, the identity of all voters will be hidden - so if the answers are somewhat sensitive or personal nobody has to know who answered. I don't like how the polls look or that there is no UI to customize the polls. Also, adding options to a poll after it has been created is not currently supported. The polls look messy and take up a lot of space in the Slack window which I do not like. Also it takes complicated commands to change the emojis used as buttons to something that looks better. We offer a generous free plan which is a great way to get started with polling in Slack. For advanced features and fewer restrictions you may upgrade to Simple Poll Business, which costs $49 per month for your entire Slack workspace. We are able to use Simple Poll to make quick decisions as a team on cut and dry issues, but it is less helpful for more complicated feedback or for organizing schedules. Typically we use doodle poll for scheduling questions. "Get better solutions to problems"
Getting used to how to make polls is a bit difficult at start but can help easily in your Slack group. Being the Head of Operations at a Research firms, there are a lot of decisions which I have to make and forego others. Polls help me in making a better decision. By just adding a poll on my Slack Group, I am able to get better answers for my question. In this way, we can even discuss all the possible options to a problem and come to a better and conclusive decision agreed by all. "Simple Poll is just that- a simple system for taking polls"
I like the ease of use- if we want to put a poll on Slack, all we have to do is type in /poll on the channel we want the poll on, and type in the information. You can also edit, and see the results in a second. Also, you can see who voted for what, in case that is needed. How many pizzas should we order? I would say steer clear from multiple choice options that are numbers. Because there are so many numbers listed in the platform, it can get really confusing for the people taking the poll. If you do use numbers, spell them out and use a unit (i.e, five pizzas, instead of "5"). We are able to quickly get answers without needing excessive feedback from the entire team. We used it to determine which other apps were "working" for our team on Slack, and everyone felt good about it because it's relatively non-confrontational and quick. "Easy and quick to use poll"
The simple poll bot allows for you to easily create a poll and ask a question in a group chat, channel, or DM. You can add several options and see exactly who has voted for what option. Once you are done with the poll, you can easily delete it to keep your Slack channel free from clutter. The UI isn't the nicest, but that is just aesthetics. The bigger problem for me, is that I can not limit people to select only one option from the poll. I wish I could state if this was a multiple choice or a single choice poll. I haven't been able to create an option with multiple words for a choice. I wish there was an option to see the results of the poll without showing any of the users the results of the poll for a more honest poll when it comes to a sensitive topic. I additionally wish that I could edit a poll or add additional options to the poll which at this time are not supported. If you are looking for a lightweight polling integration into Slack I would suggest using this. It is good for check ups and that is about it. I can quickly get a pulse on my team's needs and see where we stand. If I am worried about getting an honest response, I can also set the poll to be anonymous. the ability to poll a group of people. for some reason slack didn't think to have this feature built in naturally. the way the results are displayed are legible but one has to read passed unnecessary info to get to the meat of the results. we live in an age of finding the most efficient solution. i've see teammates use slack reaction emojis as tallies to count votes. this is your competitor in my opinion. a simple / easy to visualize tally system. that's what simple poll needs to be more like, simpler. it's a way to gather huge amounts of people into agreeing on 1 solution. "Simple, clean and needed "
Easy and visually clean app that allows for quick responses from the group. There is a strange aspect of the app where the person who runs the poll is shown as answering all of the questions at the same time. To illustrate this -- let's say I run the poll for whether we should have pizza or subs for lunch. My group will see that I voted for both immediately. This is strange. Quick, easy responses for office questions that don't need an in-depth answer. Don't use this to ask "what can our office do better?" but use it for something fun or simple like asking what music the radio should be turned to after the current playlist. "Extremely easy to use quick poll for team members"
I like that this is a completely customized poll feature that as a stand alone feature or as a feature that is embedded in a communication chain. I like that you can add as many responses as you like and if you have the Slack dashboard, you will see responses as soon as they are submitted. I dislike how the feature may get "lost" in a long communication chain. This is really meant for a quick poll with quick responses and for the synthesis to come immediately after. I recommend encouraging your work groups to download Slack dashboard so that when you create a poll, others will see it and hopefully respond to it quickly. This is a great way to get instant results, that they team may see and act upon. I enjoy the custom feature of creating a survey that takes seconds! Do try to get use the results quickly, as the survey may get "lost" in a long communication chain. I am able to create a poll without using a feature outside of Slack, which is incredibly useful when you're in a pinch for time. I am able to construct a survey in seconds, and if my group is logged in, and respond quickly, this is really the fastest way to collect data from a poll. "Easy to use polling with great functionality"
It is very easy to create a poll and outline response options and what they mean. There is a little bit of memorizing the format that you have to do, but the format and the commands are very intuitive. It's very fast to participate in the poll, and the app is easy to use for both admins and users. If you're doing an easy poll where you're looking for a majority vote - this is perfect. If you're polling colleagues, and it's important to you that you hear from everyone - the names are too small, and it's just as hard to keep track who responded and who didn't as if you were asking the question and keeping track of answers via other means. "Make your own polls with added quirks!" In general, we enjoy slack because you can customize it to make it seem more like your team. Like, if you look at ours, you'll notice right away that we're an office of weirdos haha. But with this specific add-on, I like that you can make the polling options fun emojis. Like when we are voting for a place for lunch, your options can be the ramen emoji (for ramen), sushi emoji (for sushi), or burrito (for Mexican). Maybe we just aren't using it right, but I wish you were able to limit the amount of votes you can have. Like for us, some people will select multiple options. I also wish we could see it more as a bar, rather than just showing us the number of votes an option got. I like the emoji option, but I'd like to option to show different visualization. I said this in an earlier comment, but different poll options and visualizations would help it be more flexible for the end user. Well, choosing lunch spots every Wednesday has gotten easier! Though, we do still end up arguing about it haha. "Polls, but not so simple"
This bot is fully integrated into Slack, so it is possible to launch polls easily. A command-line system allows to create a poll and add answers to it. Users can reply to the poll by selecting one of the answers you provided. There's virtually no limit to the polls that can be added. Need to remember how to open new polls. Not easy to change poll answers when the poll has already been started. Not so easy to find the poll when other messages flood the channel, unless it has been pinned. Not easy to retrieve different polls launched in the past. So in a few words, the biggest issue about Simple poll is its lack of features: it's way too simple. If you need to launch simple (very simple) polls across your team, it's ok. Moreover, it's free so it could be definitely a good choice. Otherwise, if you have more complex poll needs, you should consider adhoc tools such as polls.io, Easypolls, Surveymonkey, Google Forms, Doodle, etc. Receive rapid feedback from the team about a proposal. The simplicity of this bot is awesome. Use the same simple format each time you wish to take a poll. Voting is easy, and you can see your results with a glance. If your poll involves numbers, it can be tricky, since they list your poll options by number instead of bullet points. If your options include zero as an option, you can have a scenario where you click 1 to vote for zero, click 2 to vote for one, etc. That can be misleading, and led to some confusion once where we had to redo the survey. If you want quick and easy, this is the way to go. We've not used it for the most complex of surveys, but what we have used it for, has been perfect. It's been great for getting consensus for simple things like who wants what for breakfast, to more complex things like feature development selection. "A quick and easy way to make decisions as a team!" I like how easily Simple Poll integrates with Slack. It's super easy to create a new poll and view results. The voting modal is a little strange, especially as it will let a user submit multiple responses without warning them that they've already answered. I also wish it would let the poll-maker preview before other users start responding. Simple Poll is a great add-on for companies already using Slack for inter-company communication. It's easy to set up and easy to use. I use Simple Poll often to quickly survey my teammates and gut-check decisions. For example, if I have an idea, and I want feedback on it, I can create a Simple Poll and get a quick sense of how my team feels about it. I also use Simple Poll for more social and logistical aspects of my workday such as deciding when/where we're eating a team lunch. "What's great about Simple Poll"
I love how easy it is to quickly poll a large number of people within our organization on any topic . Simple Poll is, as hinted at in the name, a tool for making simple polls. Perhaps there could be more features around displaying the results or allowing for different types of questions, but I honestly don't view this as a serious problem given the tool's intended use. Simple Poll is a great way to quickly draw out answers to a question from members of your organization (or externally through shared channels). I would definitely recommend others try out Simple Poll. We use Simple Poll at work to vote on all sorts of things such as what day should we have off one month, what problems employees see with a particular service we offer, or who has the best king cake (we're located in New Orleans). "Quick and Easy for the Busy Office"
I like being able to read something and respond quickly by selecting a number (or more if applicable). It's not too complex to set up either. In Slack, it does take up a good amount of space in the channel. It can also move pretty far up if people keep talking about it or move onto other things. It's an alternative to using Google's forms. I'm not sure if you can be anonymous with Simple Poll, but it's something to keep in mind. One more thing: have the poll in a popular channel that doesn't get used too much. Something like #random is a terrible place to put it. General polling when finding out what a large group would prefer for public knowledge. We've used it for lunch decisions, popular content areas, and even what sort of features we should focus on for next quarter. "Need input & Slack's your main comm. tool? Look no further." We just started using this in Slack recently and it's already proven helpful. In coordinating office events, it can be difficult to choose the best day for as many people as possible. This helped us pick when to have an office event. It took a few seconds to provide input and was easy for the person in charge to set it up. Right now there doesn't seem to be a downside. I'm excited to use it more. This can be easier than using a google form for quick answers that don't need to be anonymous. The team was able use it and make a decision based on the results in a matter of minutes for us (we're quick responders!). So far it's been useful in selecting a day for a company wide event, especially during a busy season. It's the easiest thing to use, kinda hard to forget how to use it. I kinda wish that it was "prettier"? I dunno like, make the polls look more like a designed div than essentially text with emojis. Honestly, I don't even dislike that enough to call it a problem. Go for it! I'm using it as a Slack integration. You can always uninstall it later. Although we don't use it very often, we do use it for semi-serious and silly polls, like "which version of this design works best?" or "which made-up word describes how you feel right now?" "Good for very simple polls, other bots provide more functionality"
With a few, simple commands on Slack, anyone is able to set up and send very simple polls to whoever. For what I use it for, it is very functional! It's not easy to have it do very complicated things like other polling bots. Not much! Good to set up if you need to make some, as the name of the bot suggests, simple polls. Good at it's limited role. Simple polls that we need to do, such as "should we cancel this meeting", or "should we go get lunch?". Very easy to make things such as this. "Exactly What it Purports to Be"
I love the idea of using reactions to count as votes on a post, and Simple Poll does a great job making a post for that purpose quick. The app can be fussy. For example, I just barely wrote a poll with options "Yes" "No" and "Can't Tell"--and Simple Poll broke out "Can't" and "Tell" into two separate options. I checked--it wasn't a glitch of the single quote, but rather, if you forget quote marks around the question. I suppose, like most Slack integrations, it requires very specific syntax. I prefer Simple Poll to Polly. "Very simple, but it just works." It's incredibly intuitive, and pretty easy to utilize. Most users are able to figure out the interface and user options fairly quickly. It's a simple poll. That said, in cases where you may want to utilize advanced poll features, you may find it lacking somewhat. For instance, users can multi-select responses and you can't limit that. Additionally it fills a large portion of the screen. The ability to anonymously poll a channel is fantastic and has helped us gained insights very quickly from a large number of people, without formalizing survey monkey or other external tools. I like having an easy way to take a pole within slack without having to send out a link to an external website. In the past, I would use a website to gather poll information, but since I already use slack in my workplace, implementing simple poll was easy and eliminated an extra step for those filling out the poll. I also like how easy it is to see the responses right in my slack account, which is probably already pulled up anyways! I don't think there is anything I dislike! I love Simple Poll. If you're already using Slack, it's a no brainer! People are a lot more likely to take a pole when it's right in slack, so it's great to have more people answering so we get more accurate information. "Great for simple opinion collections but not for anything complex "
When you want to ask you team to choose between a few options and not receive a million suggestions , simple pole is perfect. It is great for simple direct answers with one variable. When trying to do more that one variable or place and time vs just time , the pole does not work well which result in people writing their preference instead of clicking the option they want. It speeds up the decision making process for simple decisions and allows in app vote count so results are in real-time. "Simple polling integration for Slack "
Easy way to get feedback pretty quickly without much effort. When working in teams get an immediate response to a poll. Quick to send out with a full Slack integration. Also, use for customer feedback, etc. There isn't anything to dislike. This bot is not complicated to use. Simply type /poll and the formula needed to set up a poll quickly displays. Very easy to use. Easy to use polling software to get instant feedback, The integration with Slack makes this a no brainer to use. Get instant feedback from coworkers, partners, or customers. Can be used to make decisions without utilizing a formal process of gathering the necessary opinions. Also, polling can reduce the need for qualitative input. I love how easy it is to use the simple poll. Everything is right in slack for me to get answers from my team. I wish there was a little more functionality in how results are displayed. It is really hard to schedule meetings with my team since we are all in different areas. We use simple poll to generate different times for meetings and have different members vote on the time that works best for them. "SimplePoll is great. I'm trying to keep my headline simple." There aren't too many bells and whistles with SimplePoll, which is exactly what I'm looking for. I don't need a tremendous amount of other functionality. It has let us create "SimplePolls," but with live results populating in my Slack field. Not every poll plug-in has that, which is surprising. I wish I had more use for a plug-in like this, but I just don't conduct polls too often. Don't expect a revolutionary product. It provides polls. Often, I'm resolving issues that are pertaining to very low level issues (i.e. where do we want to go to lunch, what should the end of week activities be, etc.). They are issues dealing more with morale versus productivity. "A very simple poll that lives up to its name"
I like how easy it is to create polls, and how simple it is to participate. I also like that it's available within the Slack app, without having to go to an external page. It's possible that this is an option that I missed, but people are allowed to vote multiple times on these polls. Ideally, there would be an option to allow people to only vote once. This works well as a very basic option, but more advanced polls may require more advanced software. It has helped our company make quick, simple decisions on the spot. This has offered a simpler and faster alternative to creating a Survey Monkey survey or something similar. "Slack poll is a gem!" There isn't anything I can think of that I would improve on the poll. It's simple, clean, easy to use and gets the job done. Since it is so easy on the eyes and fun to use, we use simple poll a lot. t has helped my team make a lot of decisions anything from picking lunch to deciding implementation methods, to deciding which projects who wants to pick up. "Perfect for quick office questions and mini-debates"
I like that anyone can use it, and how easy it is to create a new poll. We regularly use this to create polls on our release names. 10 option limit is a bit limiting sometimes, would also like to see better reporting or be able to kill the poll after a certain point. Very simple and lightweight. Don't expect everything in this. No real business problems, just a nice integration to have in Slack. "The name says it all... Simple Poll"
Dead simple to use, for on the fly polls of my team that only involve a few straight-forwards questions. I haven't run across anything in this dead simple Slack app / bot that I don't like. It literally does exactly what we need it to, and quickly! It doesn't take the place of a real survey tool, it does fill a need to VERY quickly poll your team on a multiple choice question. My team uses it mostly for meeting spaces and lunch / activities, but our design team uses it for on the fly opinions for UX/design, which is brilliant. For my team, I don't think 'simple poll' was as much of a solution to a problem, as it was a simple way to streamlining slacks back and for on questions. For other working groups, it was more of a solution, like for the Design/UX team. They put out quick polls on simple feature sets, and get instant answers - no focus groups, no tracking data, etc. Easy to use and perfectly simple. Live updates make it more entertaining. As far as I know, there isn't a way to make it anonymous which would be a useful feature. Simple polls regarding team members end dates, their feelings towards two of our products, and recreational things such as what our team is doing. These polls are a quick and easy way to get team feedback without creating more work for everyone. Recreational polls "just for fun" are a great way to lighten the mood or create a workplace bond. "Easy way to take a poll"
Simple Poll makes it quick and easy to take a poll and see what people think on a subject within Slack. It makes communication more efficient than having meetings or individual conversations, or even having to dig through multiple slack answers or conversations, so decisions can be made more quickly. I would consider Simple Poll if you're looking for an efficient way to get the opinions of a large group, especially if that group is spread out over multiple locations. It allows for more efficient communication and decision making within/for a team. "Making lunch decisions with your co-workers much easier." It's incredibly simple and relevant. I can't tell you how many times we go back and forth regarding where we're going for lunch. Using simple poll makes deciding much easier. From serious yes or no polls to just goofing around, it's effective. Nothing in particular, but I think the only downside to simple poll is it's sometimes easier just to suggest or ask what you're wondering. No recommendations needed. It's very simple to set up and to use and it's a fun way of crowd sourcing. Office polls of simple "Yes" or "No", but I wouldn't say we're necessarily solving business problems with the add-on. Simple Poll is aptly named when you want to send your group a quick poll. When you don't need complex poll, this is a great integration tool. It's a little clunky to create answer choices. Instead of multiple emails back and forth about "What name should we change to?" A simple poll can be created with everyone having a voice. The easiness of being able to run a poll in Slack makes life tremendously easier. Seeing the results as they come in and immediate feedback makes it easier to get things rolling. At times the voting can be a bit cumbersome and will sometimes skew the results, but it can be corrected. Give it a whirl and see if it is for you! This is a Simple Poll, and allows me to run quick polls for lunch, happy hours, favorite icons and colors. Essentially I can get a quick pulse check for those involved in voting. "Very cool bot to make quick decision inside team." We have used this bot in our Slack communication when discussions had place. With help of this bot decision making was easy and fun. In my opinion there is nothing to dislike. This bot is easy to use. Perfect tool for easy and fun poll in your chat. Simple and fun voting, easy decision accept inside team. "Great implementation, but UI is slightly lacking"
"Easy way to get opinions"
Since our company is an avid Slack user, we use slack's Simple Poll bot to quickly get opinions on new products or company events. Great way to get consensus on company event dates/ideas! Company event planning is the number 1 use for Simple Poll. "simple poll is so convenient!" "Great tool for team collaboration"
The ability to create custom polls without leaving the slack app is so convenient for team collaboration - such as deciding on an email subject line, or office events like deciding what to eat for lunch at the holiday party. I dislike that the poll question is shown twice when you write the poll in slack code you see that header, and the poll header from the app itself. Easy to use justinstall the app and type /poll in slack to get started! Solving the problem of indecisiveness and employee satisfaction by being able to make decisions with votes where everyone can see the results. Quite simple and easy to use via Slack command, I don't use it very often, but when I needed it, it's much easier than typing a form to collect feedbacks from team. The new button option is a nice touch. Would be nice that other users have the ability to add more choices to the poll. it's almost toooo simple and sometimes i need more complex answers (open-ended). it's more of like a friend to friend thing that you can post on facebook or other social media. i am able to create internal polls for my coworkers for easy things like catering and lunches. we only use it in house but are thinking of using it in our marketing emails to see what our clients want to see more of/less of. Simple Poll is relatively easy to set up, and provides a good quick look to any simple questions you may have. We have used it to gain insight into what kind of events we should hold and what opinions people may have on certain things. The way Simple Poll displays can be kind of confusing. Simple Poll makes it easy for us to do a quick, no-nonsense poll on a platform where it will be seen by the majority of our employees. 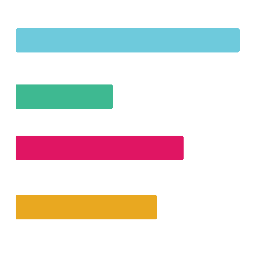 "Quick & Convenient Survey for Slack"
It's a super quick and easy way to make decisions and see what the team wants to do. If all you need is a simple polling solution, this will do it! Will not work for advanced options or those who need to constantly edit/modify polls. Slightly annoying that polls cannot be modified after they are created. This leads to having to create new polls every time anything changes. Tallying up results for who wants to do what, like where to eat. It makes it easier to figure out what to do when planning events or other activities that require making a decision on where to go. "So useful in the office"
Simple polls are easy to create and send through Slack, where everyone in the office can vote. The polls are distracting in the office and give people too much power to decide things. We have used Simple Polls to decide company activities and meals for events. "Simple, Effective Polling in Slack"
It is very easy to set up a poll and put it in a Slack channel or direct message. Not very many customization options. What you see is what you get. If you want something simple to poll your Slack teams with, Simple Poll gets the job done. We'll use this for quick meeting voting or for fun things like where to go for lunch or who will win the game this weekend. It helps count office opinions and eases the burden of making a decision for the whole team. From business decisions to what we're ordering for lunch. It's accessibility can make for too many joke-y polls that clog up the feed. It's very flexible regardless of your needs. Some business decisions are easily made through the poll tool when gathering stakeholders for a meeting proves to be too difficult. It's a very handy way to get quick answers for your team about group projects, meetings, etc. It does this funky thing where it automatically puts one person as the answer to all of the options, which throws the count off a little and is confusing for the person that it chooses to auto-populate with. We use it to quickly determine next steps and solve stalemates. "Good for what it does, but could be better"
Has a nice sleek look for displaying results. Is functional and not too difficult to figure out. It allows people who are already residing in the solution to provide feedback. No frills, doesn't allow for deeper analysis of results. Otherwise, it seems more functional and utilitarian. Works fine and is a nice plugin from the Slack ecosystem. Easier to implement this than go outside and find polling software to integrate. A quick solution for compiling poll data for initiatives and ideas. Able to capitalize on existing Slack traffic since everyone in the company is already there. The app is really simple to use and there isn't really much to it. If you are already using Slack, this is a great tool to use with your co-workers to make simple decisions such as, "where to go to lunch". It's not the best tool if you need to poll and get feedback. This is a REALLY simple polling app and I wouldn't expect any sophisticated if you want to do ranks, etc. When a quick decision needs to be made, this has been great way to get multiple stakeholders involved. * We monitor all Simple Poll reviews to prevent fraudulent reviews and keep review quality high. We do not post reviews by company employees or direct competitors. Validated reviews require the user to submit a screenshot of the product containing their user ID, in order to verify a user is an actual user of the product. Hi there! Are you looking to implement a solution like Simple Poll?